When it comes to corporate culture, the tides are shifting towards an appropriate work life balance across the board, and more companies are recognizing the value of offering flexible work arrangements. That can be different things depending on the industry you work in, ranging from telecommuting to working four 10-hour days and having every Friday off. The beauty of that flexibility is that there is nothing set in stone dictating what a flexible work arrangement should be. But finding the arrangement that is right for you, and then convincing your leadership team they should give you the opportunity to prove yourself with that flexibility, is really becoming the dream for a lot of employees. So how do you achieve it for yourself? The first step to earning yourself a flexible work arrangement is proving yourself in a traditional capacity. If you can’t be counted on to show up during the hours assigned to you, and to do the job expected of you when you are there – how can you expect your supervisors to give you even more flexibility? You have to first be a stellar employee before you can hope for the negotiating power to earn a flexible work arrangement. Remember, you’re trying to convince your supervisors that you can be trusted with a little extra freedom – but trust has to be earned, not demanded or coerced. The next important task is to know what it is you want out of that flexibility – and for your desired arrangement to be something that would actually work in your chosen career. For instance, if you have a job that has you interfacing with the public during business hours on a daily basis, you probably aren’t a good candidate for working from home. But maybe you could arrange a schedule that has you putting in most of your hours Monday through Thursday, and just coming in during prime business hours on Fridays. They key is to land on what kind of flexibility would work within your industry, while also knowing what would fulfill that work life balance for you. 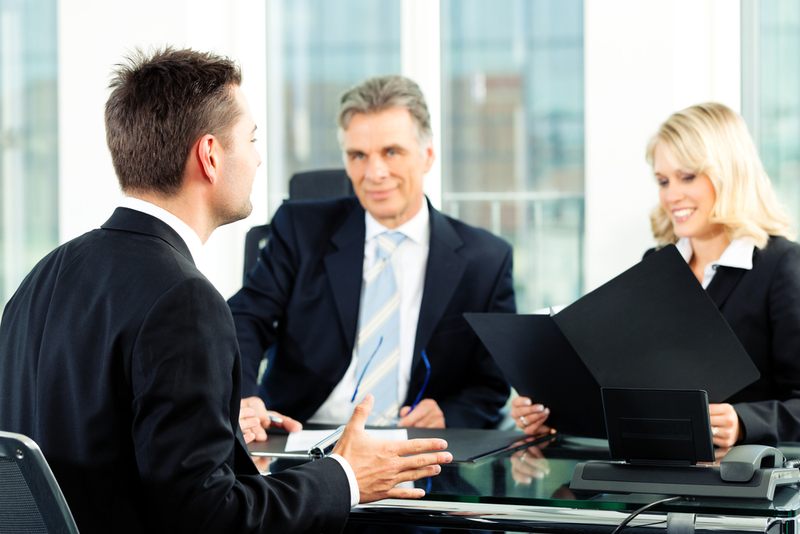 You should always prepare an information based argument whenever negotiating for anything in your career. In this case, that would mean data that proves the benefits of flexible work arrangements not only to yourself, but also to your corporation as a whole. There is a lot of data like this out there – from research that shows how having employees work from home can actually save companies money, to studies that point to increased productivity when employees feel as though their need for balance is being met. Do your research, and create a solid, data-driven argument. Because if your sole argument is, “This would make me happy,” you probably aren’t going to get very far. The good news is, most of the data is in your favor – you just have to find it and use it. If you want to prove you are professional enough to take on a flexible work arrangement and still be a valuable and contributing employee, you have to start by making your pitch professional. Which means requesting an official meeting with your supervisor and going to that meeting prepared to make your case. It also means not expecting your every wish to be granted right away. Present what you would like, and then open that up to discussion with your supervisor – asking about any concerns he or she might have, and anything that they think might work better. Allow them time to contemplate your proposal, and don’t pitch a fit if it isn’t initially accepted. Continue to prove yourself as the valuable employee you are, and keep the topic of flexibility on the table as an open dialogue for the future. 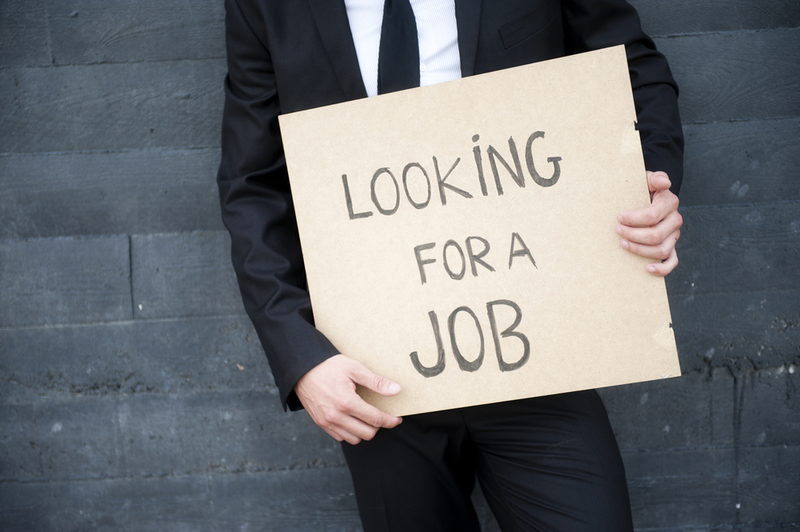 When most people think of a job search, they imagine completing that search on their home turf – utilizing the networking contacts they already have and positioning themselves for a move that might have them driving to a different side of town, but wouldn’t involve any actual relocation. 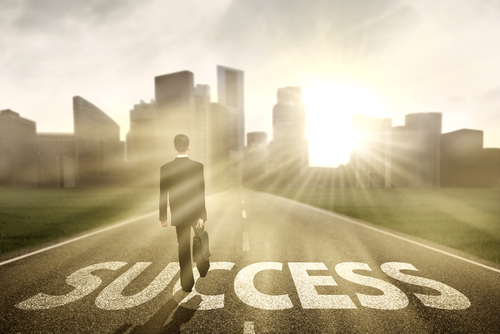 Unfortunately, relocation is sometimes necessary if you want to move forward in your career. In some industries, there are only a handful of opportunities for certain positions nationwide. And if that is where you skillset resides, you need to be ready to move pretty much anytime you decide you want a change in career scenery. Then there are those who are moving for personal reasons already, but still need to find a new job to hopefully land in before they get wherever they are going. Whatever your reasons for searching out of state, it’s important to know that an out of state job search can sometimes take longer to fulfill. The reality is, most hiring managers would just prefer to hire somebody already in state if given the choice. Not only does it save them the hassle, but it also means they don’t have to worry about getting saddled with relocation costs. So if you heart is set on relocation, for whatever reason, how do you make your resume stand out in a way that convinces hiring managers you are worth the hassle? First and foremost, if this is a move that is already happening for personal reasons – make that abundantly clear. In fact, if you already have a move date and new address lined up, you may want to actually use that new address on your resume. By doing so, hiring managers won’t immediately discount you when they see an out of state post code. If you don’t yet have a new address, you can still use your resume to let hiring managers know that a move is imminent by putting “Relocating to —– on ——.” In this way, you are communicating that a move is absolutely happening, letting them know you aren’t technically an out of state hire so much as a hire who just hasn’t landed home yet. If you’re not already planning to move, but are instead simply searching for out of state opportunities (and planning to relocate wherever you are offered a job) you can use your cover letter to explain why you are a candidate who is worth overlooking in-state applicants for. Remember, you need to be the cream of the crop if you are going to convince hiring managers to bring you on board from out of state, so you really need to highlight exactly what you have to offer. You should also use your cover letter to express your absolute willingness to relocate, perhaps by citing a few things about the area you would love to embrace. For instance, if you live in a cold climate and the new job would be somewhere warm – don’t be afraid to mention how happy you would be to get away from snow shoveling in the winters. Let’s be honest: going through the hiring process with out of state applicants is just more work for hiring managers. They either have to set up web cam interviewing (which can be a pain, and often feels impersonal) or actually fly you in to meet with the big wigs (which can be expensive). You want to make those options as easy as possible, perhaps even by offering to fly yourself in for an interview that you would be especially interested in. If you think your out of state status might be holding them back from considering you further, be willing to bend over backwards to show them that status isn’t an issue. Not only will you be showing them how genuinely interested you are in the position, you’ll also prove to be a big sigh of relief for hiring managers that were preparing themselves for a lot of extra effort on your behalf. Today, it isn’t at all uncommon for people to move from job to job every few years. A lot has changed since the days when people used to stay working in the same position and for the same company from their first day of work until retirement, and most hiring managers are understanding of the fact that resumes will often reflect multiple job changes for applicants now. So long as those changes aren’t occurring too sporadically, it can even be seen as a strength when you have varied experience as a result of those shifts. But the closer you get to retirement, the more advisable it may be to stay working for the same company. 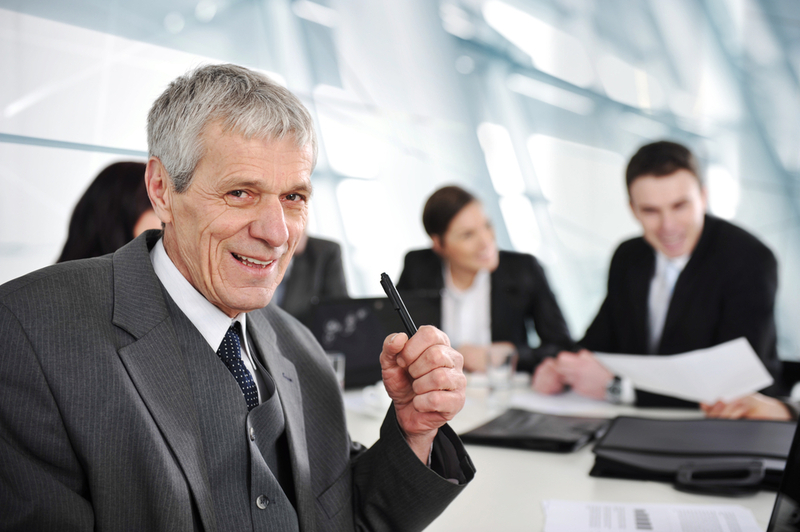 That’s because as much as we all hate to admit it, and as illegal as it may be, age discrimination does occur, and it can sometimes be harder to find a new position when you have a retirement on the horizon. As understanding as hiring managers are of previous job changes, they aren’t usually as keen to hire someone who they know up front will only be around for the short term. So whenever possible, staying the course is usually a good idea as retirement nears. But when you don’t have a say in the matter, how can you boost your chances of avoiding that discrimination and landing a new job? If you are nearing retirement, that likely means you have spent decades building up a reputation in the industry and making a ton of networking contacts along the way. Now is the time to fall back on all of that hard work you have put in up to this point. Reach out to those in your network and let them know you are looking. Contact managers you have worked for in the past, those who had a favorable opinion of you and are more likely to keep you in mind for any openings they have now. And don’t be afraid to ask for references and recommendations from the people most likely to sing your praises. The one benefit you have on your side is more connections and experience then the other applicants you are competing against – so use those things to your advantage. Newer companies in your industry are likely trying to create a corporate culture and find a foothold among more established corporations. Many may be open to your experience, and even to your limited timeline left in the workforce, as they work to build their own reputation and establish themselves in the industry. You may actually find you could achieve a higher position in these corporations, and take on a strong leadership role as new policies and ways of doing the work are being created. While this can sometimes mean taking a pay cut, it could be the opportunity to provide truly valuable insight and to spend your last years before retirement feeling respected and validated in your work. A respected recruiter in your industry is going to have insider information on the upcoming openings that could be a good fit for you. They are also going to be in the position of being able to talk up your experience to hiring managers before you ever walk through the door. Even if you have never worked with a recruiter before, now may be the time to do so. The workforce is changing, and not every job has to be a standard 9 to 5. It is possible that your experience could make you the perfect candidate for contract positions, where you serve as a consultant or freelancer to companies who aren’t in a position to hire full time employees. If you’ve ever wanted to work for yourself, this may be the time – and alternative work arrangements can provide the ability for you to do just that, often making your own schedule and setting your own rate of pay. 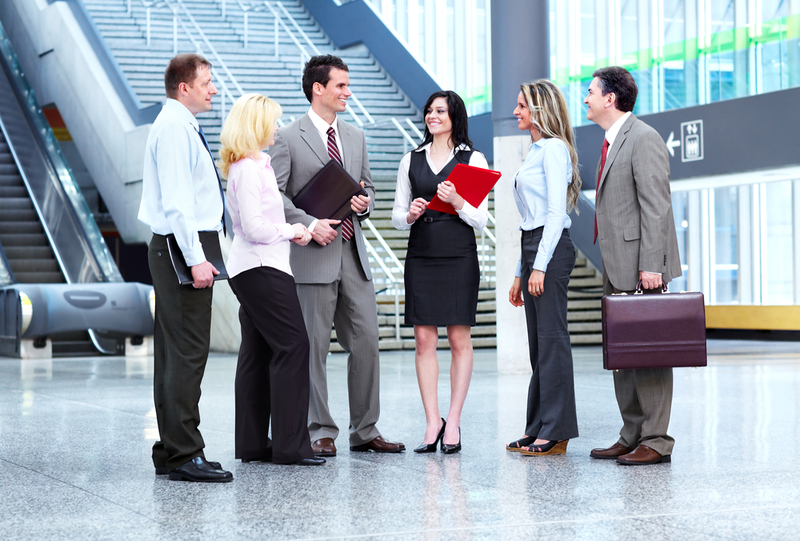 We all know that networking is important when it comes to advancement in ones career. It’s advice that has been given and passed down for as long as most of us have been in the workforce. But what is often missing in that advice is tips for how to network effectively. Because it isn’t enough to just hand out and collect cards, waiting until you have favors you need to call in. If you want to network in a way that actually pays off, you have to make a deeper commitment than that. People who struggle the most with networking are those who go into it thinking only of what they have to gain. The truth is, most people can see right through disingenuous networking attempts; they know if you are only talking to them because you want an “in” at their corporation. So if you want networking to actually work for you, you have to be willing to give a little as well – often to give more than you hope to get back. Be the type of person people want to network with. Make introductions to others within your circle, think of people you have networked with in the past when you hear about openings at your own corporation, and be an asset to those who reach out to you. Do all of this, even when you don’t know where a networking relationship may lead. Because the more you give, the more likely others are going to be willing to help when you need to fall back on your networking circle. Instead of pushing forward in a constant drive to make new networking contacts, adopt a philosophy of quality over quantity and spend time genuinely nurturing the networking connections you already have. If new networking opportunities come up, you should absolutely embrace them, but otherwise – turn your focus towards building the relationships you’ve got today. Because having a handful of deeper connections will almost always prove more beneficial than having a plethora of shallow networking contacts. One way to keep those networking connections alive is to pass along news, either about the industry or company openings, which you think might be beneficial to others within your network. Whenever possible, personalize those bits of information – sending a few separate e-mails, if you must, so that each person you tell about an opening you just heard about will feel as though you have personally gone out of your way to think of them. And when you come across a bit of news that seems applicable to several different members of your networking circle, use that as an opportunity to make introductions – letting everyone on an e-mail thread know that you are sending this news to them because you are all in the same industry, or have a similar interest in what is being discussed. Again, simply going out and asking for cards is not what networking is all about. Like all relationships, networking contacts take time to build and nurture. Go into these connections knowing that, and be willing to put in the time and effort to make those connections valuable. There is no shortcut to networking, and no way to simply cherry pick those who may be able to help you years down the line. You can’t see the future, and you don’t know which contacts may be best able to help you out later on. So instead of waiting until you need that help, and then trying to rush those connections with people in a position to provide it, cast a wider net earlier on and focus on taking the time to build up those networking relationships with those that bite before you need the help. Any HR professional will tell you that directly approaching an inferior superior is sometimes the best way to resolve potential conflicts. After all, perhaps they aren’t aware of how their current management style is reflecting upon them or hurting productivity in the office. This is an “in a perfect world” solution. Yes, in a perfect world, you would be able to sit down with your supervisor and review your complaints. The two of you would have a big heart-to-heart, come to see each other as people (and not just employee and employer) and begin making strides towards having a better working relationship. But in the real world, the direct approach is one that is a hard to pull off well and doesn’t always yield the results you may be looking for – particularly when your boss actually is a jerk. So take an honest look at yourself, your supervisor and your situation, and ask if you think the direct approach will work for you. If so, schedule a meeting and show up prepared to have a calm and rational conversation. But if not – move on to the next tip. Sometimes it can help to share your list with a friend or relative who does not otherwise know your boss, as well. That outside perspective can give you the insight into whether the behaviors your boss is exhibiting are truly out of line, or if they are simply representative of a clash of personalities between the two of you. Keep in mind that filing a complaint with HR is a big deal and has the potential to really affect another person’s career. And while most companies have policies regarding your privacy when talking to an HR representative, as well as prohibiting retaliation – it is also always a risk that you could come out of the other end of an official complaint having done nothing more than creating an even further divide between you and your boss. That said, sometimes that risk is absolutely worth it and one you need to take. If you are at that point, schedule a meeting with a member of your HR team who you trust, and show up with your list of documented incidents to discuss. Know that an official complaint typically leads to retraining rather than a complete dismissal (depending on the severity of the issues you are bringing up) but a good HR person will work to ensure you are more comfortable in your working environment. Should all else fail, remember that you are not required to stay in your current position. Start looking for opportunities to be promoted from within at your organization, to transfer to different departments, or to interview for openings at other companies all together. Again in a perfect world, you wouldn’t have to be the one who has to leave – but if your boss truly is a jerk, and there seems to be no way to ease the situation; looking elsewhere may just be the best and healthiest decision you could make. Re-entering the job market after an extended absence can be a scary thing. They say that the best time to find a new job is while you are still currently employed, and there is a lot of truth to that – hiring managers tend toward applicants who have a current work history, and the longer that gap in your employment – the harder it can be to convince them you are still relevant and valuable, no matter what industry you are in. So, yeah, filling out an application when you have a good chunk of time unaccounted for can be nerve wracking. But knowing when and how to address that elephant in the room can make all the difference in terms of your chances at landing that job. When your resume boasts a lot of experience, but also reveals a solid span of time where you were unemployed, one of the first things you may want to consider doing is changing up your resume format. 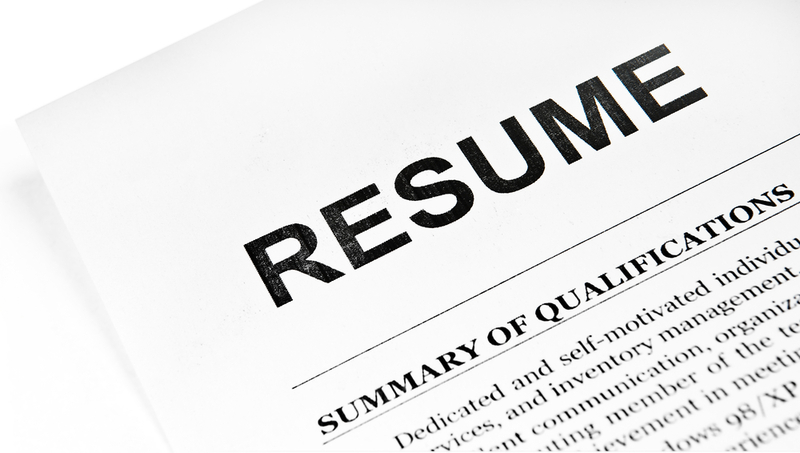 Instead of using the standard chronological format, which will only further highlight the gaps in your employment, consider redrafting your resume in a functional format – highlighting your skills and abilities, as opposed to your job titles and dates of employment. Even with a chronological format, you will still be listing those titles and dates on the resume – they are just typically reduced to bullet points at the bottom, allowing your skills and expertise to get the bulk of the attention. But if you have a gap of a year or longer, it’s likely a hiring manager will still notice. So in those cases, you will want to address the gap on your cover letter. Keep your explanation brief and gear the bulk of the cover letter to your capabilities, but add a sentence or two pertaining to your extended leave from the work force, ending on a note of excitement and preparedness to return. If your leave was less than a year long, don’t address it on the cover letter. Utilize the functional resume format, use your cover letter to address what you have to offer, and trust that if the hiring manager does notice your gap in employment – they will choose to address it during the interview, rather than allowing it to be a complete deal breaker. They will bring it up, though, regardless of whether or not you have addressed your employment gap on your cover letter. So be prepared for that – the question about what you did with your time away from the workforce will come up. And how you answer that question will make a difference in whether or not you move on to the next level of potential hires. Under no circumstances should you try to pretend as though your leave was something it wasn’t. If you spent 18 months traveling the world on an inheritance you received, or if you opted out of the workforce when you had children, out of a desire to stay home with them, be honest about that. Obviously, there are some details that don’t need to be shared (keep your stories about drunken beach nights to yourself), but don’t make up a story that you think sounds better, just because you are afraid of admitting the true reason you took time off. Interviewers appreciate honesty, and anyway – they will find out if you say you spent that time building houses in Costa Rica, when in reality, you were just riding out the last of your severance pay while watching talk shows on your couch. A positive spin is one thing, but a bold-faced lie will only hurt you in the end. Own how you spent your time away from the workforce and don’t shy away from talking about it, but also be confident in what you have to offer now. Talk about how that time you spent taking care of your ailing parents taught you responsibitliy and loyalty, while also reminding you how ready you are to return to the workforce. Or explain what you learned about commitment while hiking some of the tallest peaks in the world. Know what you have to offer, and don’t be afraid to discuss it in relation to that time you took off. Because it is sometimes the road less traveled that leads to the best learning experiences, and you never know when you will come across a hiring manager who truly appreciates your unique perspective on life and business. Great strides have been made for women in business over the last several decades. We are seeing more and more women in leadership, and are even witnessing the rising public respect given to these women in power (think: Sheryl Sandberg). But that doesn’t mean reaching those heights is easy, or that women have an equal opportunity to get there. The reality is, women are still making an average of 70 cents for every dollar men make, and those same men still make up the majority of those in boardroom meetings today. But that doesn’t mean change isn’t an ever-present goal, or that there aren’t opportunities for intelligent and motivated women to continue being successful in leadership positions. And the good news is, several of those women who have already found the most success in leadership have been opening up in recent years about how they accomplished their own goals. Kanya King, founder and CEO of the MOBO Awards, has said that she believes one of the biggest factors of success for women is having that self confidence to believe in themselves. Allow your passion to drive you, shape goals that you can see yourself striving towards, and then… keep aiming in that direction, no matter how long it takes. Never give up. If you trust in yourself enough, and are willing to beat down every door in the pursuit of your endeavors, those goals are within your reach. But you have to be willing to fight for them. For women to find success in business, they can’t allow that voice in the back of their heads convince them they aren’t good enough. They have to believe in themselves and their value, and be willing to fight to prove that value to others as well. It may seem sometimes as though success in business is a cutthroat thing, but for women to be able to make their mark – they need to be open to making allies and advocating for the success of other women as well. Amy Schulman, Executive Vice President and General Counsel at Pfizer, said in a New York Times article that, “Women can and should do a better job of helping one another to be in that transactional forum, and to get over the anxiety that we’re going to be found wanting on the wrong side of that equation.” What’s that “transactional forum” she’s talking about? Basically, she means that women should be willing to help each other out – to exchange favors, lift each other up, and support the success of other women in their peripheral, in the hopes that they will receive the same support and favors in the future when they most need it. Now, can you grantee as a woman that you will get back what you give out in terms of supporting those who might otherwise be your competition? No. But you certainly stand a better chance of receiving that support if you are genuinely willing to provide it first. And empowering other women in their success opens more doors for you to find the same. Michelle Gass, President of Starbucks, was presented with the idea of a Frappuccino sans any marketing or growth plan. Just a drink… nothing more. And yet, she turned it into a $2-billion sensation. How? Well, she was willing to think outside the box. She first walked out of the boardroom and went straight to the customers, providing samples and asking questions. She visited the shops that might have otherwise been deemed Starbucks’ competitors in relation to this brave new world of blended coffee, and paid attention to how they drew their customers in. She envisioned what the product could be, and then held firm when naysayers within the company questioned the frugality of investing in the promotion of something so different. And look what her willingness to think outside the box produced today. Being a successful woman in leadership is absolutely possible, and the rewards are numerous; but you have to be willing to work to prove you are worthy of that success first. Are you?